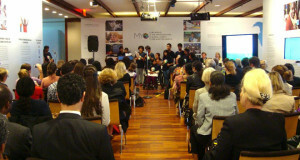 ChildFund Alliance and the UN Millennium campaign jointly hosted a prestigious event during the UN General Assembly week in New York to ensure that children’s voices are heard as part of the post-2015 debate. 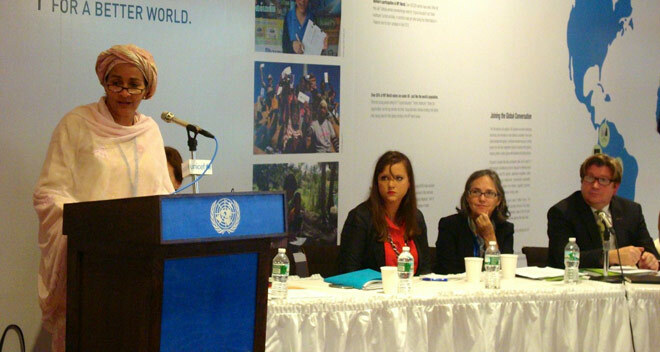 It was held in UNICEF House and panellists included Amina Mohammed, the UN Secretary-General’s Special Advisor for Post-2015 Development Planning who congratulated ChildFund Alliance and MY World for their efforts to bring the voices of children to world leaders. The event was with representatives from Governments, UN entities and civil society, as well as young people. 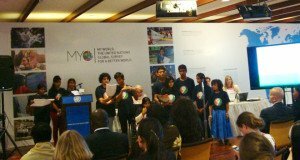 The meeting opened with powerful statements by representatives from the child-led campaign NINEISMINE from India, on children’s engagement in the current efforts to achieve the Millennium Development Goals (MDGs) and in the process to define the next generation of development goals. They made a resounding call for world leaders to fulfil the promises of the Millennium Development Goals (MDGs), and to take children’s voices into account in the post-2015 process. “We children are the future citizens of our world. 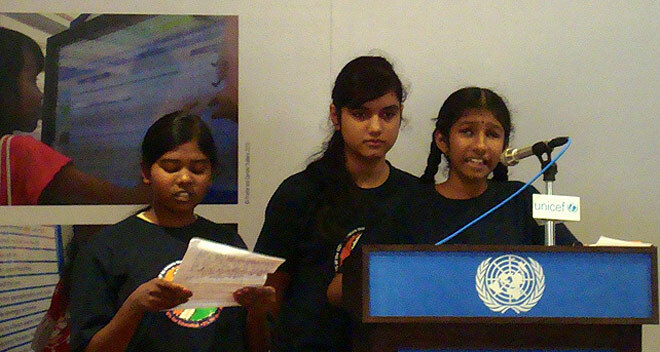 It is important to speak up now,” said one girl. “Children have made it clear that we should not miss this once-in-a-generation opportunity to make them free from violence and exploitation” said Andrew Johnson, Deputy Secretary-General, ChildFund Alliance. Be part of the Butterfly Effect: sign our petition and get involved in the campaign, so you can let Governments and United Nations know YOUR priority is a world where children are FREE from violence and exploitation!